Visit WV's First "Smart School"
What Functions Can Be Controlled with a Building Management System (BMS)? What can a BMS system do for you? Don't wonder about it any further? Contact us for a no-obligation consultation. A Building Management System coordinates a variety of systems to work together for greater efficiency and safety. A "Smart Building" Management System (BMS) is a centralized network of equipment and technologies that monitor and control the environment in your facility. All of the components come together in a single system, working together to ensure the facility operates efficiently and safely, saving both time and money. A fully integrated smart building is not only more comfortable, productive and cost-effective, but also more secure. 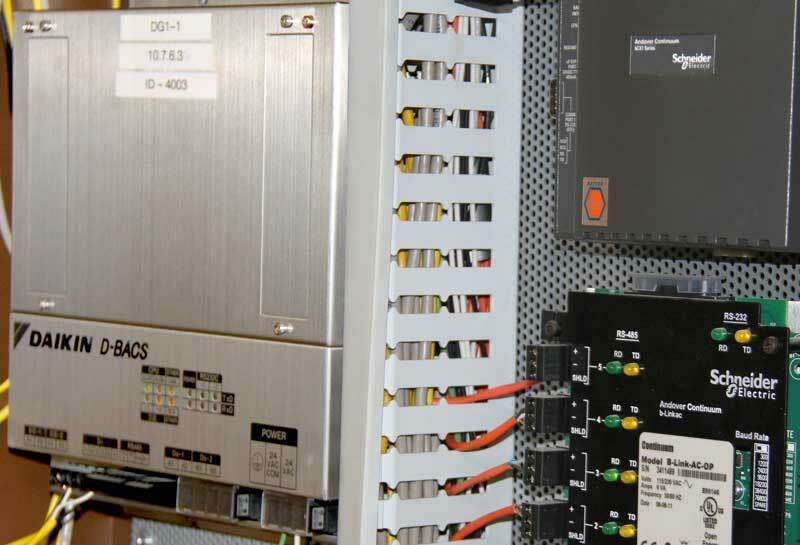 For example, a fire alarm can trigger a whole series of events, either automatically or from your control panel. You can seal off areas, activate smoke evacuation systems, direct video monitors to record key events, use access control to know who is still in the building and send notifications to emergency personnel and managers. These "Smart Building" systems are often installed as new facilities are being built; however, because of its flexibility, Mason & Barry can also retrofit a smart building management system into existing facilities based on your priorities. What Functions Can Be Controlled with a Smart Building Management System (BMS)? Mason & Barry is the factory representative for the world’s leading suppliers of HVAC equipment, “Smart Building” automation systems, security/surveillance systems, school safety equipment and data center environmental equipment. Our factory trained personnel are available to help you find the solution for your facilities. So why wonder about it any further? Get a pro on your facilities team. Contact us for an obligation free consultation to help you develop a solution to your facility needs.